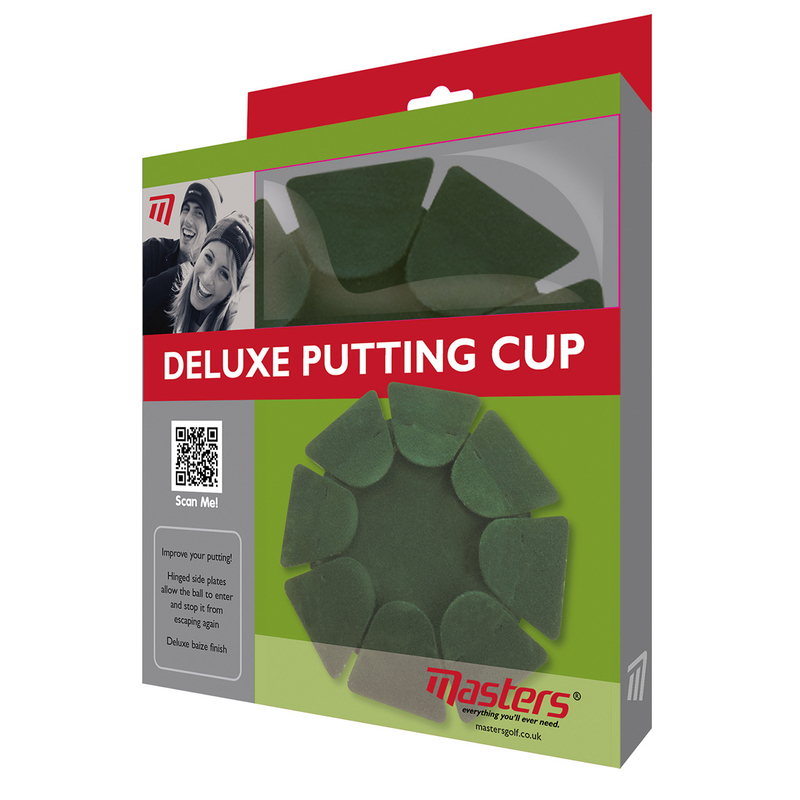 The Masters Golf Deluxe Putting Cup is an excellent practice aid. 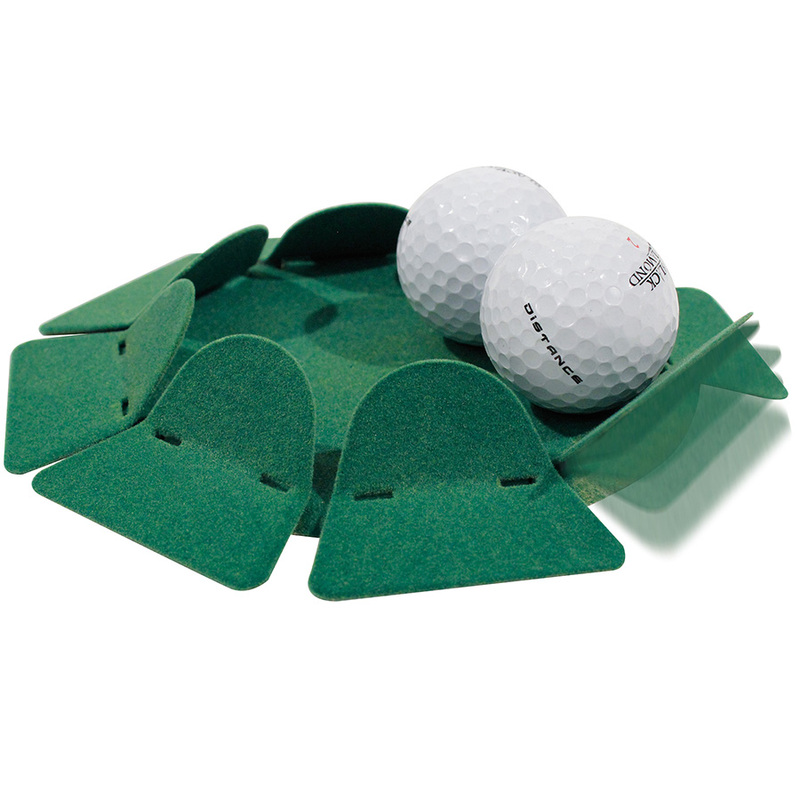 Whether you are at home or in the office it's great for improving your putting. Simply place on the ground at the desired distance and putt! With hinged side plates which let the ball roll into the cup and stop it escaping once inside.